Los Made in Barcelona Contact: +34 644257027, eko@eko.cat. This band could not have been born elsewhere that were not in Barcelona. Since creativity and love for shared music by a group of artists of different nationalities such as Cuba, France, Argentina, Spain and Mexico, Made in Barcelona agreed musically and decided to come together and share their music and their histrionic skills to create a original and explosive musical show. With flavors of Son Cubano, Cumbia and Reggae, Los Made in Barcelona shake their shakers to offer an exceptionally fun and refreshing show, which the public participates inevitably in their songs, rhythms and dances. 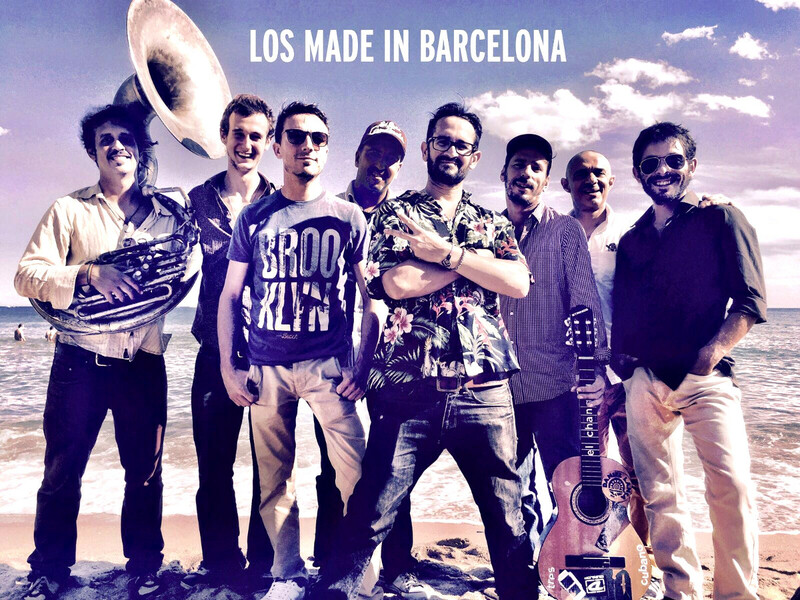 Los Made in Barcelona are: Reynaldo Elosegui (vocal and musical bell), Pierre Minetti (vocal and guitar), Canek Gonzalez (vocal and guiro), Andi Rodriguez (conga and cajon drums), Carles Estruch (saxophone), Victoriano Donetti (transverse flute).